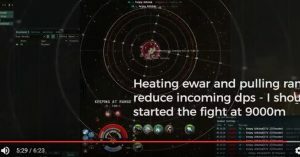 Whenever someone sends me an eve mail asking where to start when wanting to learn Solo PVP, I always link them The Noob PVP Challenge. Prior to writing the article I would just explain the challenge to them... Get 10 Fully Fit Ships and lose them all in less than a week taking every fight you can get. No Fear of Loss, No pressure to win, just a simple task of "Get out there and SHOOT SOMETHING!" 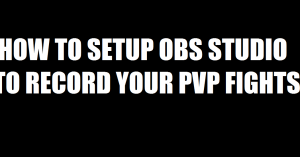 What seems so simple is actually backed by a lot of revelations I've had over the years both learning and teaching Solo PVP. The Rush you get when Solo PVPing can feel great but too much gives you tunnel vision and the shakes. Repetition and less fear of loss calms the rush. Risk Aversion is a new Solo PVPers worst enemy because it results in you taking less fights and not pushing your self. Repetition builds reactions, instincts, and expands situational awareness. Pride and the sting of losing can make Solo PVP too painful for some pilots. It's imperative that you stop putting so much importance on losing. It's helpful for pilots to understand "why" some fights are inherently bad and undesirable. These are all things that can be improved in just one week by The Noob PVP Challenge. I would usually just post this as an Article, however I have had a huge surge of YouTube Subscribers over the last few weeks. Many may not have explored the Gold Mine that is this website. So what better way to show it them, than in a video? The video explains things in more detail but if you've read this, I would suggest you skip the video and go start your challenge right now. Trust me, it will make a massive difference. The Shield Boosting Guide is LIVE!!! I’ve started my Noob Challenge! Been flying both the Tristian and Incursus, with an Executor thrown in for good measure, but it has been a blast. Sadly I keep bumping into more experienced PVP guys, but I am taking on fights (Including 2 T3 cruisers!!!) and its starting to pay off! Any chance of doing the Amarr Alpha clone anytime soon? Awesome, happy to hear that. I looked at your killboard and the Incursus fitting you are using is meant primarily for killing Interceptors and Long Kite Frigates like the Slicer and Condor (typically in Null). For low sec I would run a Scram Kite Rail Incursus with an AAR or the Tristan. The most important thing is that you are taking fights and getting experience. Keep at it and after you finish the first 10 ships don’t be afraid to try something new or make a small change. Do you have the fitting for the Scram Kite Rail Incursus? 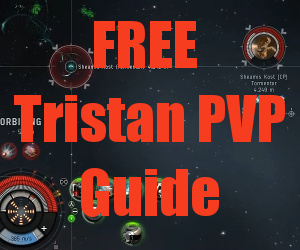 In my Tristan guide I remember fighting TopMoe and being impressed with his Incursus. He used a Rail Incursus which works well for the FW Meta. The down side is tracking. Against something like the Atron below (orbiting at 500m) you won’t track. But against other scram kites you will do very well by using a Keep At Range of about 6km. I also fought a Atron that I barely beat in my first fight against but lost to in my second fight. He flew the ship very well. The Atron with a AB and Web is so fast within scram range that it can decide whether to brawl or scram kit by dictating range. The Firetail’s ability to kite and do damage as I was coming into him with my MWD, really put me out of business. I was already deep in armor when I was pulling into my keep at 5 km, and just as I was starting to put a bit of pressure, he seemed to pull away, and just popped me. A very impressive ship, and I see why you rate this as a good alternative to the Draimel. Maybe I am wrong, but it does seem like the logical counter. I really enjoyed both fight, as both guys were good sports and really encouraged me (along with the Eve Uni guys). I’ll probably focus on the Tristian, but I do enjoy mixing it up, and I have a Slicer winking at me…..
Oh it six ships now…four to go! The lesson to learn from the first kill is that in FW most Firetails will be Arty Scram Kites. Not many ships will out scram kite them. To out Scram Kite an Arty Firetail you need a Comet or Hookbill… The Firetail is has great base speed so it can control range in most fights. The second link didn’t seem to work, it showed a Daredevil loss. I’m glad you are talking to the people you fight, often people are willing to discuss the fight and give tips. Give it some time to get used to what you can and can’t fight, then send me a video of one of your fights if you would like. I’ll take a look and see if I can help more from watching. I will certainly be taking you up on your offer, and after payday arrange to do a 1 to 1 PVP session.I went out tonight in the Tristian, but it was less busy tonight, and while I was tempted to take on a Punisher sitting in a plex, there was a Harpy sniffing around and it all felt like a set up to me. Daredevil is a bad match because of his bonused Web. You could probably beat a Punisher however, the problem is that they can fit a big EHP Buffer Tank and make great bait just like the Maller and Prophecy. That was a good choice not to engage if a Harpy was on scan also, there’s a good chance he was baiting for the Harpy and you cannot beat a Harpy with that fit. Just let me know when you’re ready for a lesson. Based on what we’ve discussed so far I think some practice fights between me and you would be the best thing to do so that I can see how you are flying. But go ahead and send me a video any time, you don’t have to wait until after the lesson. I ended up taking a break from Eve for about a year, and I immediately found myself buying 10+ ships to fit out and go see how fast I can have them blown up. I know that “Amarr” is not the best for PvP setups, but I can’t help it. I love the way the ships look, and for purely aesthetic purposes I love lasers, especially in a space fantasy game. I’ve subscribed to your site for a few years now, purchased a few guides, and love all the content. As soon as I get back in the swing of things I plan on going back to my Pilgrim for all the fun I used to have with it. Awesome, happy to hear you are back and jumping into PVP. Amarr can be a tough race to specialize in early on because their T1 Frigates aren’t up to the same level as the other races, but you can still be effective with the Tormentor and Slicer. The Pilgrim is my all time favorite solo ship. 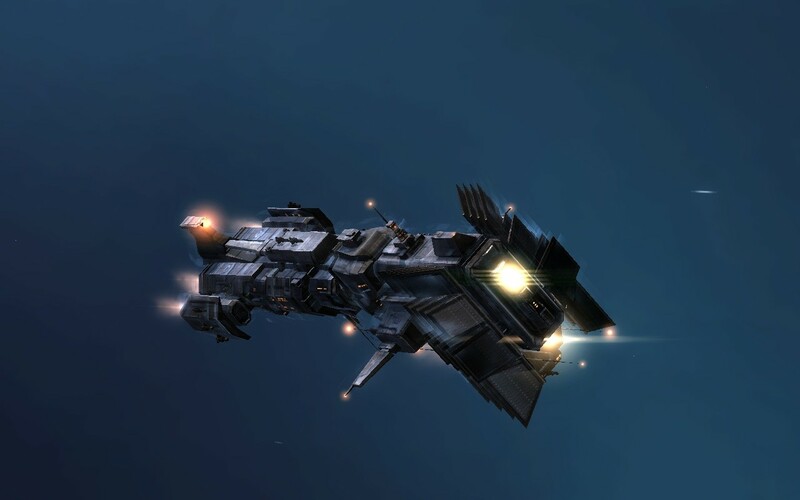 I stand by my statement many years ago that it is the single best Solo PVP ship in the game. Nothing comes close.